Birth Control in Drinking Water: A Fertility Catastrophe in the Making? Fish struggle to fertilize eggs three generations after exposure to contraceptive hormone, raising questions about the effects on humans. WASHINGTON — A recent report from the U.S. Geological Survey (USGS) found that birth-control hormones excreted by women, flushed into waterways and eventually into drinking water can also impact fish fertility up to three generations after exposure — raising questions about their effects on humans, who are consuming the drugs without even knowing it in each glass of water they drink. 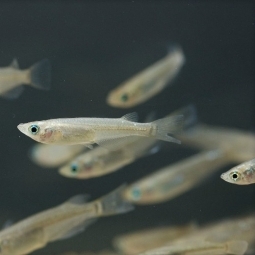 The survey, published in March in the journal Scientific Reports, looked at the impact of the synthetic hormone 17α-ethinylestradiol (EE2), an ingredient of most contraceptive pills, in the water of Japanese medaka fish during the first week of their development. While the exposed fish and their immediate offspring appeared unaffected, the second generation of fish struggled to fertilize eggs — with a 30% reduction in fertilization rates — and their embryos were less likely to survive. Even the third generation of fish had 20% impaired fertility and survival rates, though they were never directly exposed to the hormone. Conducted by scientists at the USGS and the University of Missouri, the research also examined the effect of bisphenol A (BPA), a chemical found in plastics that has been implicated in breast cancer, which was similar to the contraceptive hormone. The study adds to a growing body of evidence that man-made endocrine-disrupting chemicals — those that affect hormone systems and numerous body functions, including conception — are damaging wildlife, wreaking havoc on reproductive, immunological and nervous systems. Scientists have known for more than 15 years that humans are excreting their prescription drugs into American sewers and that water-purification systems are not equipped to filter the chemical effluents from drugs, including anything from birth-control pills and painkillers to psychiatric medicines. In a landmark 1999-2000 USGS survey, 80% of water samples from 139 American rivers and streams in 30 states were found to be contaminated with drugs, ranging from antibiotics and antidepressants to contraceptives and hormone replacements. But scientists are particularly concerned about the contraceptive chemical EE2 because of its ability to “feminize” male fishes and its association with plummeting fish fertility. A landmark2007 study, for example, described a seven-year whole-lake experiment in northern Ontario, Canada, in which tiny amounts of EE2 induced “intersex” male minnows whose testicles contained eggs, as well as altered egg production in female fishes; this ultimately resulted in the “near extinction” of the species from the lake, as well as a threat to larger fish populations. Numerous subsequent studies across the globe have linked birth-control hormones to impaired fertility, “transgender fish” and reduced fish populations. Minnesota pollution researchers looking for the endocrine disruptors found them even in remote lakes thought to be pristine;and when they lowered cages of male lab minnows into the lakes, most of them were feminized within three weeks. By 2009, USGS scientists found that one-third of 111 American waterways they tested contained some intersex fish, particularly male bass. A year later, scientists were reporting that 80% of the fish in the Potomac River — whose water is pumped into the homes of 4 million people — showed “intersex” features. The impact of EE2 has been demonstrated experimentally in mammals as well. In one 2009study, for example, newborn rats exposed to the hormone in the first days of life developed small and abnormal penises and lowered sperm counts, and they struggled to reproduce. The researchers compared EE2’s effects to those of diethylstilbestrol (DES) — a notorious endocrine-disrupting chemical given to pregnant women to prevent miscarriage. The women themselves had an elevated risk of breast cancer, but it was their children who developed rare vaginal and testicular cancers and other reproductive anomalies after they reached puberty; and those children were 40 times more likely to be sterile. It’s a comparison that the current Scientific Reports study researchers make as well. “EE2 use during pregnancy can cause the same type of disruption of development that the drug DES caused in millions of offspring of women given this drug during the 1940s to 1970, when it was banned for use during pregnancy,” Frederick vom Saal, professor in the Division of Biological Sciences at the University of Missouri and one of the authors of the study of medaka fish, told the Register. “Also, male reproductive organs are sensitive to estrogens, which interfere with normal function — estrogens have a contraceptive effect in males.” EE2 has also been linked to testicular tumors. Toxicologists have dismissed the comparisons of EE2 in the water supply to DES because the DES exposures were in larger doses. However, tiny doses of hormones can produce large effects. The Canadian lake study, for example, saw near extinction of a fish species with EE2 given in “environmentally relevant” doses of five parts per trillion — the equivalent of five drops in 20 Olympic-size swimming pools. About 50 million women worldwide are taking contraceptive pills, and it is the leading form of birth control in the U.S., consumed by about 10.5 million women annually, according to theGuttmacher Institute. Up to 68% of the contraceptive drugs being consumed are not absorbed, but excreted into sewage systems, according to the USGS study. And according to one 2009 study of loss of fertility in rats due to EE2, about 3%- to 4% of women continue to take birth control inadvertently in the first trimester of pregnancy, raising concerns about their babies’ early exposure to endocrine disruptors, though it’s impossible to say how many babies and children are inadvertently exposed through drinking water and to what doses or what impact the hormones are having on adults, if any. CELESTE McGOVERN, ENVIRONMENT birth control, contraception, fish, hormones, pharmaceuticals, pollution, transgender, waterways. permalink. Are Clinton and Gates Foundations and USAID Supporting Depo-Provera Deception?